In and out: The revision of a prominent diagnostic handbook is reigniting a long-standing debate about Rett syndrome&rsquo;s relationship to autism. A plan by an American Psychiatric Association revision committee to remove Rett syndrome from the next edition of the Diagnostic and Statistical Manual of Mental Disorders (DSM) has sparked concern among some parents and researchers. But proponents of the change say the plan has been widely misunderstood, and their goal is better treatment for people with the neurodevelopmental disorder. The earliest symptoms of Rett syndrome, emerging around 6 to 18 months of age, look much like autism: The children, almost all girls, withdraw from social engagement, lose communication abilities and develop repetitive movements such as hand-wringing. In the current edition of the DSM, Rett syndrome is listed as one of five autism-related conditions, along with Asperger syndrome and childhood disintegrative disorder. But Rett syndrome won’t be mentioned in the next edition, known as DSM-5, at all. The change comes along with a larger effort to develop new diagnostic criteria for autism spectrum disorder, which has been the subject of considerable controversy. One reason for removing the mention of Rett syndrome is that “the severe autistic features are only present in a very narrow window in the life of the patient,” says Walter Kaufmann, director of the Kennedy Krieger Institute’s Center for Genetic Disorders of Cognition and Behavior in Baltimore, and a member of the DSM-5 committee that made the recommendation. For example, Kaufmann notes, children with the disorder often regain interest in socializing as they get older. When the disorder was added to the DSM in 1994, researchers didn’t yet know that Rett syndrome is caused by mutations in the MeCP2 gene, which encodes a protein important for neuronal functioning. MeCP2 is located on the X chromosome, and the disorder primarily affects females — males who have a damaged copy of the gene on their single X chromosome rarely survive until birth. The DSM is about behavior, not cause, or ‘etiology,’ so including “a specific etiologic entity, such as Rett’s Disorder, is inappropriate,” the revision committee states on its website. But many scientists investigating the biological mechanisms underlying Rett syndrome object to that reasoning. But the plan is actually more nuanced than this, committee members say, and the new version of the manual will still have a place for such individuals. Children with Rett syndrome will no longer automatically be considered part of the autism spectrum. Instead, they will have to meet the new diagnostic criteria for autism spectrum disorder that are being developed for the DSM-5. The same ‘associated with’ terminology will also apply to people with conditions such as fragile X syndrome or tuberous sclerosis who also meet criteria for autism spectrum disorder, he says. “We’re not really excluding Rett’s. That’s a misinterpretation,” adds Joe Piven, professor of psychiatry at the University of North Carolina-Chapel Hill, another member of the revision committee. “We’re not singling just Rett’s out. This isn’t the first time Rett syndrome’s position in the DSM has sparked debate. 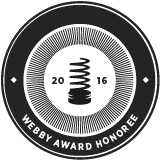 Even in 1994, some researchers argued that it belonged in a category with autism1, but others disagreed2. At the time, Rett syndrome was a relatively new3 and mysterious disorder. “The thinking was essentially that it was better to have it somewhere” in the DSM, says Fred Volkmar, director of the Yale Child Study Center, who helped write the DSM-IV. As the syndrome has become better understood, however, not everyone has been happy with this hodgepodge approach. In a 2007 survey, three-quarters of the members of RettSearch, an international consortium of clinician-researchers, said that Rett syndrome shouldn’t primarily be defined as an autism spectrum disorder, reports Kaufmann, who is also the chair of that group’s executive committee. RettSearch’s survey concluded that a greater emphasis on the unique, non-autism-related aspects of Rett syndrome was needed to help people with the disorder gain access to treatments such as physical therapy. But some parents of children with Rett syndrome say that being part of the autism spectrum gives their children better access to treatments such as speech therapy and special education services. As the parent of a child with Rett Syndrome I disagree 100% with the declassification of Rett Syndrome as an autism spectrum disorder. I also disagree with Walter Kaufmanns statement that “the severe autistic features are only present in a very narrow window in the life of the patient,”. My daughter, who is 17, has presented strong autistic features since age 12 months. Clinical presentation of the syndrome varies greatly for each mutation and I believe it is impossible to generalize the degree of autistic traits across the mutation spectrum. I think these changes in the DSM reflect the shift in the field of psychiatry from one focused on macro level, observable behaviors (a “black box” approach from days when brain, genes and neurochemistry were all still mysterious) to one informed by neurology and genetics. I frankly am relieved to have the rubric of Freudian/ behaviorist interpretations lifted from my child and family and would like to see that extending into education. One day, we will better understand the complex neurogenetics of autism as well. All of this raises questions about psychiatry/psychological treatments for ASDs (including RTT)– especially given the current popularity of interventions such as ABA. As caregivers for our children with Rett Syndrome (and other neurogenetic disorders) we will have to remain nimble in this shifting landscape and advocate for the different medical, clinical and educational diagnoses that best serve our individual children. My daughter (RTT< R133C) carries 4 diagnoses: Epilepsy, Ataxic Cerebral Palsy, Autism all secondary to Rett Syndrome. Together these support access to medical, therapeutic and educational treatments. The draft proposal for DSM-5 has certainly generated a lot of heated debate and argument. Until the publication of DSM-5 it isn’t known under what DSM-5 diagnostic category Rhett Syndrome or any of the other single gene disorders (Fragile X, Downs Syndrome, Phelan-McDermid Sydorme etc. ) with high rates of co-occuring autism will be assigned to. 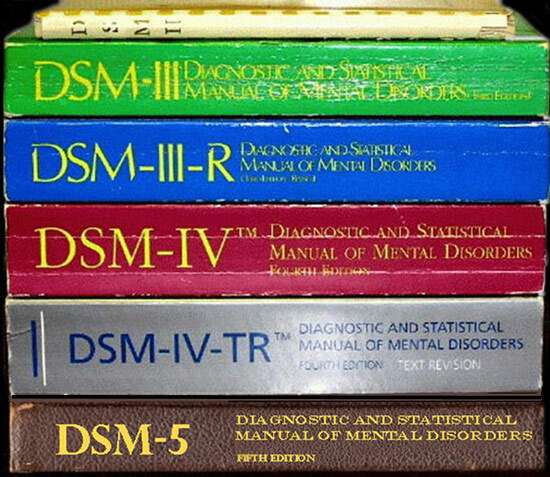 Will DSM-5 be any better than DSM-IV, probably not, but given the growing ambiguity of autism definition clinicians might want consider DSM-V as more of an instrument of social policy and place Rhett Syndrome under whatever diganostic niche will offer the greatest level of support and access to evidenced based therapies. Dr. Rett didn’t spell his name Rhett! Please correct. They’re removing Rett Syndrome from the DSM for the same reason that they haven’t included Down Syndrome or Fragile X Syndrome – because the DSM is for diagnosing psychiatric conditions, not medical conditions with psychiatric features. They’re not saying Rett Syndrome doesn’t exist. They’re saying that a psychologist shouldn’t be the one who diagnoses it, just as they aren’t responsible for diagnosing any other identified genetic conditions. A psychologist could give a girl with Rett Syndrome a diagnosis of autism, if she meets criteria, just like they could give a boy with Fragile X Syndrome a diagnosis of autism if he meets criteria. But if the psychologist suspects Rett Syndrome (or Fragile X Syndrome, or any other genetic condition), then they should refer the person to a geneticist for that diagnosis.